Research?! I’m so excited! But I’m so … scared. Here’s something you might like to know about my character, Cloudy: she’s a cheerleader. A cheerleader, you guys! This fills me up with happy soda bubbles because 1) I’ve sort of been in love with cheerleading forever and ever and ever, and so 2) I’ve wanted to write a cheerleader since I learned that characters need to do stuff. Unfortunately, growing up in schools that barely had athletics programs has left me with a cheerleading info-void. And even more unfortunately? Countless viewings of that Saved by the Bell episode when Bayside thinks they’ll win a cheerleading competition by making Screech have an apoplectic fit in a tiger costume, only to have Valley kidnap Screech! and all hope of the Golden Megaphone is dashed! until Zack and Slater save the day by pouring ants into some guy’s tail-hole or something. Yep, countless viewings of that doesn’t even scratch the surface of all there is to know about the intensely demanding and real sport of cheerleading. So, this calls for research. And how’s a girl with lots of enthusiasm but not much exposure go about it? 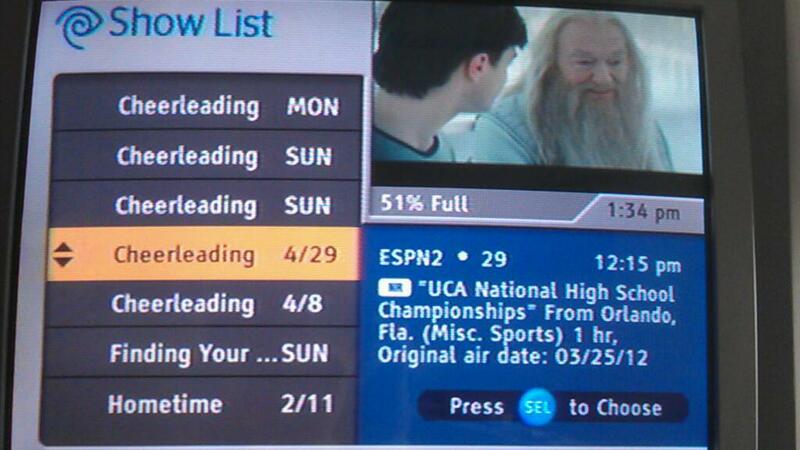 My DVR is just like Dumbledore’s Pensieve. Except not at all. Thankfully, ESPN and other sports channels televise cheerleading competitions – a true display of straight-up talent; not to mention the greatest ponytail-engineering you’ll ever see. 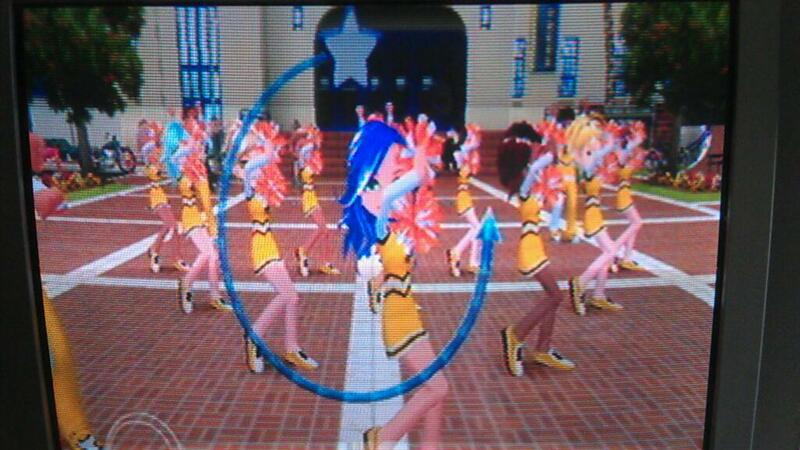 While playing We Cheer 2 probably isn’t as taxing as an actual cheer routine, it’s sort of close! Plus fun. And exercise-y. Oh, that Wii. So many things. Read My Face Off: After all that ESPN and Wii-ing (Wiiing? ), it’s obvious there’s more to cheerleading than Friday night football games. These girls and boys work HARD. Which means if Cloudy’s practicing her pom-poms off, she’s up on her terminology – so I need to be, too. My current favorite place on the internet is Varsity.com. If you’re a cheerleading nerd like I am (or, like, an actual cheerleader), it has lots of great, useful info to read up on; and so far it’s been a fantastic resource. Another fantastic resource? 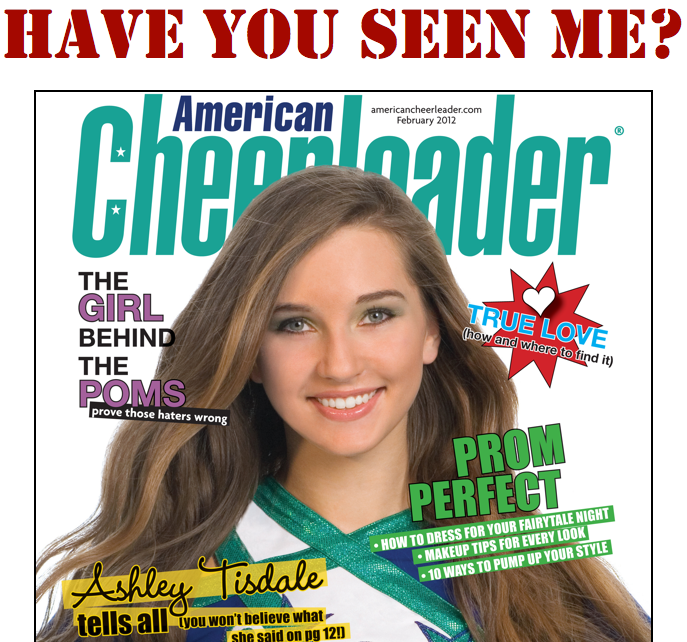 American Cheerleader magazine. I mean, probably. In a tragic turn of events, there isn’t a single hard copy to be found in the city of New York. (Or Seattle! Mindi checked.) So, I’ve resorted to begging family and friends to keep an eye out for it. The search is on! Build from past experience (kind of): I guess I’d be remiss if I didn’t mention my own little dalliance with cheerleading, way back in my pre-tween days. I certainly wasn’t nearly as awesome as the girls on ESPN (or my Karou cheerleader), but I still smile when I think back on it. That’s what I remember most – having the best time with a group of girls I never would have met otherwise – and that’s what I want Cloudy to keep in mind. 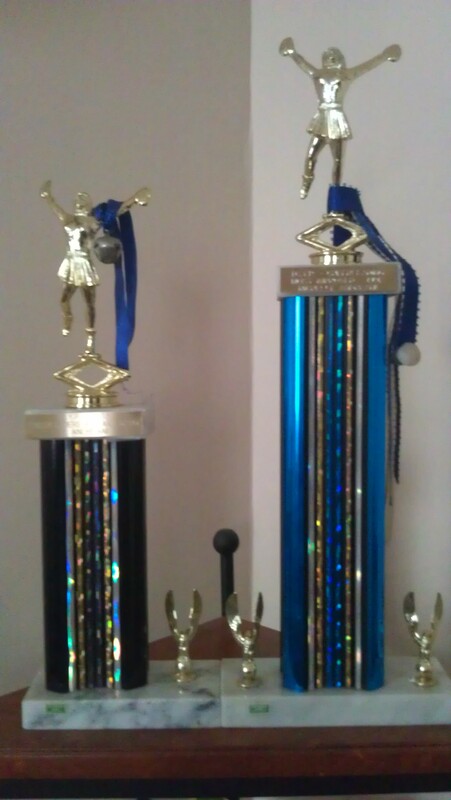 That cheerleading is more than counting your trophies. Obviously, research is the funnest! I do plan on stepping it up as I learn more about Cloudy; but for now, I hope I’m doing okay. I mean, We Cheer 2 doesn’t just give out that All-Star rating to just anyone, do they? Ha! Your caption on the American Cheerleader magazine cracks me up. Someone, somewhere must have one! I’m starting to think it doesn’t actually exist!